WALKER, George A. 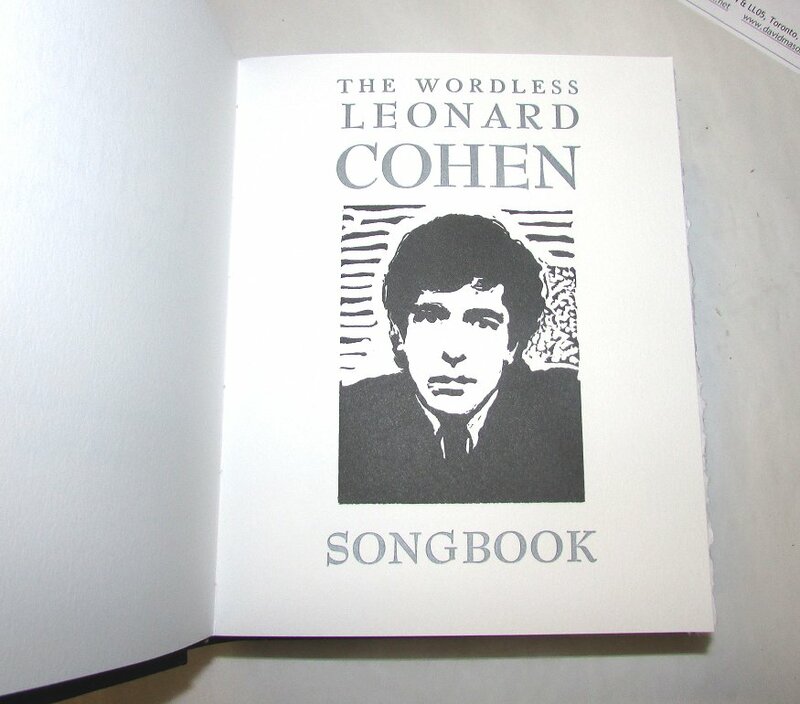 The Wordless Leonard Cohen Songbook A Biography in Wood Engravings by... Introductions by Norman Ravvin and George Walker, afterward by Tom Smart. Toronto: George Walker, 2014. 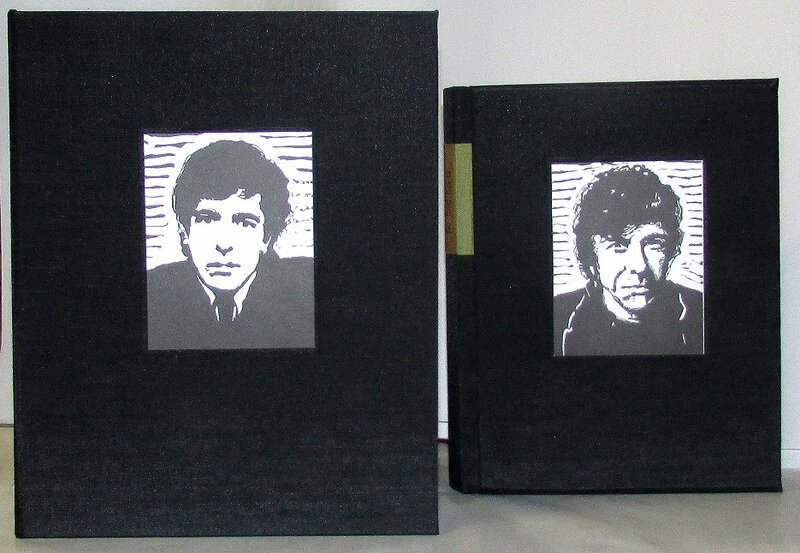 First edition, limited run of 80 signed by Walker, Ravvin, and Smart; printed on archival rag, bound in cloth boards with woodcut onlay. Sq. 8vo., black cloth boards, cloth spine label, pictorial paper onlay on upper cover, unpaginated. 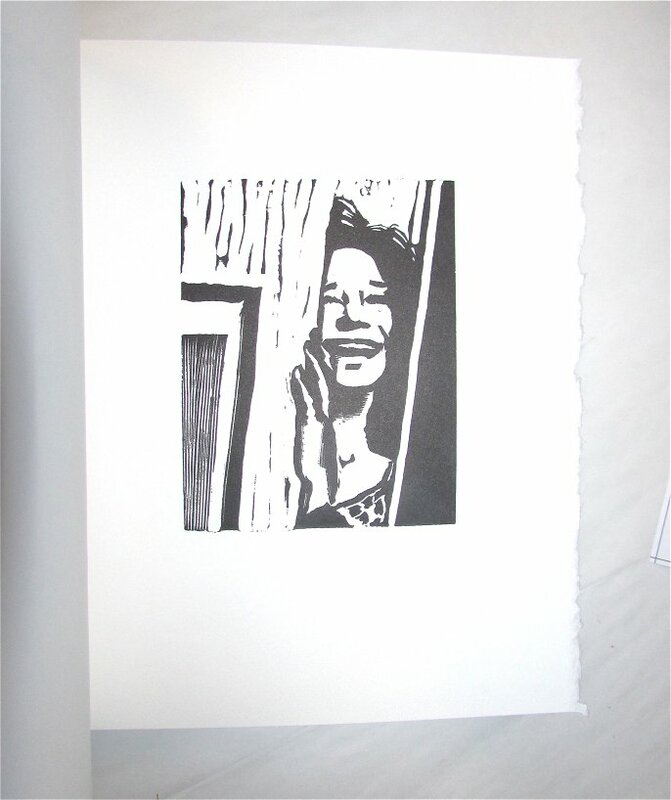 New, in slipcase with woodcut onlay. Commemorating Cohen's 80th birthday. 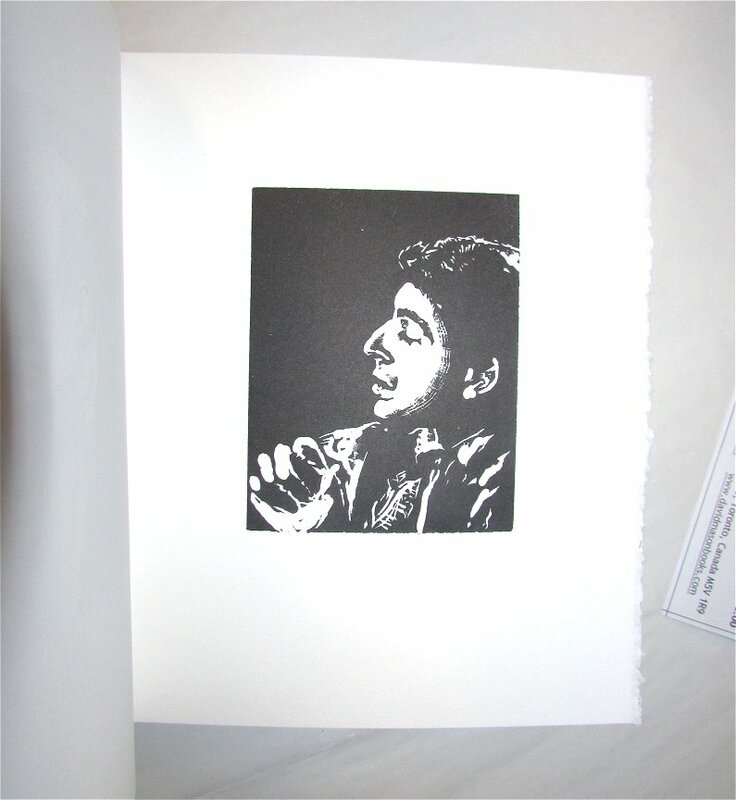 "George A. Walker created the original wood engravings, incised them on the end grain of Canadian maple, and designed and printed the text and images on his Vandercook SP15 proof press." 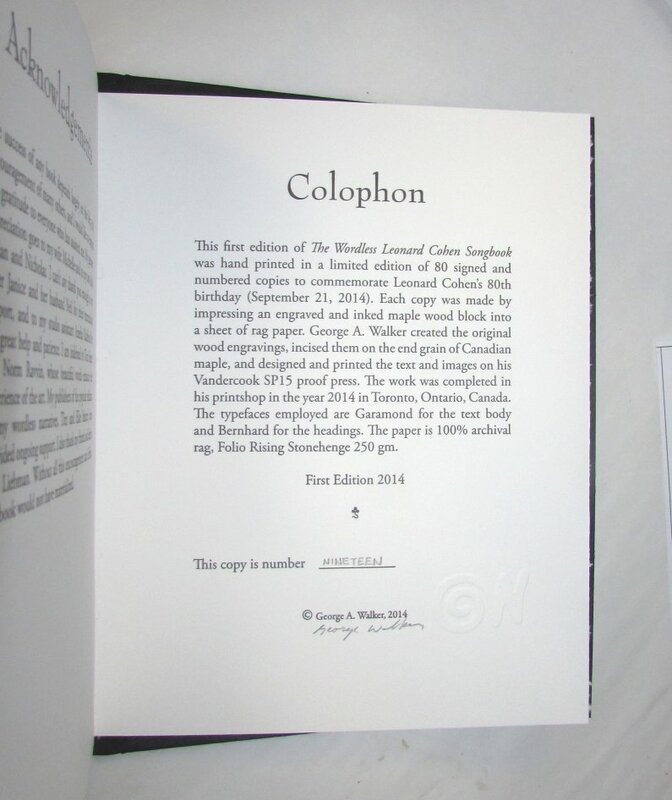 Awarded first prize from The Alcuin Society in the Limited Edition category for books published in 2014.